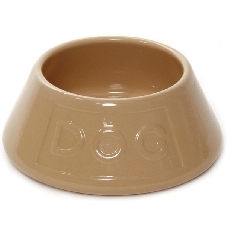 Stoneware non tip spaniel water bowl lettered dog. Bite resistant, hygienic, easy to clean and dishwasher safe. Made in England. Due to the fragile nature of this item it can only be purchased in store.